When the spacecraft enters the moon’s orbit, it will perform a complex maneuver to enter the moon’s gravity, called lunar capture, and start orbiting the moon ahead of its scheduled landing on April 11. A view of the Arab Peninsula and Southeast Africa taken by the “Beresheet” Israeli spacecraft from a distance of 16,000 kilometers. Credit: SpaceIL. 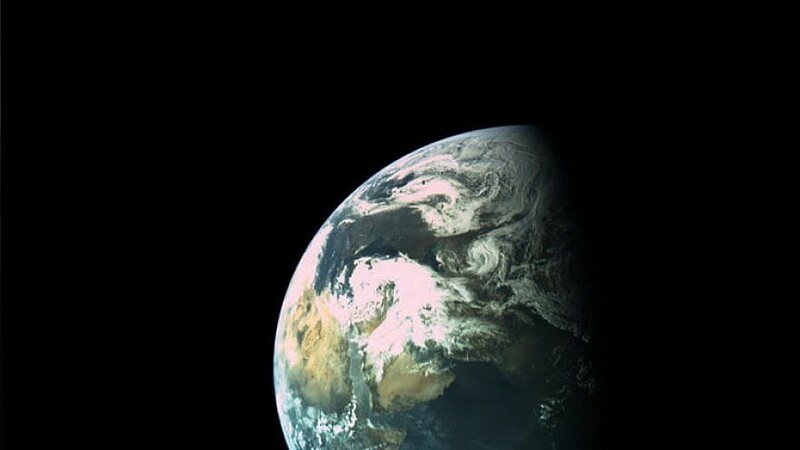 (April 1, 2019 / JNS) The Israeli spacecraft “Beresheet” passed Earth for the final time on Sunday as it is expected to enter the moon’s orbit on Thursday. California-based nonprofit the X Prize Foundation announced on Thursday that it will award a $1 million prize to SpaceIL if “Beresheet” completes the landing safely. Israel Aerospace Industries valued the development of “Beresheet” at $100 million.